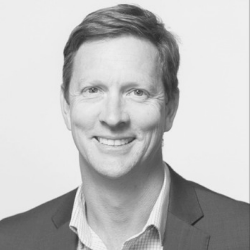 Mr Brook Dixon is President of the Australian Smart Communities Association, working with counterparts across Australia to promote smart city solutions that improve liveability, sustainability and productivity in our cities. He is also Managing Director of Delos Delta, driving smart city and digital transformation for clients around the world. Brook is an experienced leader, smart city creator, strategic planner, keynote speaker, business moderniser, digital city exponent, public administrator, economist, and policy developer. Ray had an extensive career in Telstra spanning technical, administrative marketing and sales roles. He established Aston House Consulting Services to provide strategic advice to government and industry on the digital economy and on telecommunications matters and is currently the Manager. Ray also has served on the Board of Queensland’s largest vocational education institution guiding its commercialisation framework and practices. Matthew Schultz ­ Ipswich City Council City Digital Officer has extensive experience and leadership expertise in smart city, connectivity, data, internet of things and spatial visualisation and analysis of data. Matthew is an accomplished and experienced professional with over 23 years of experience in the Information Technology, Telecommunications, Digital Economic Development, Geospatial and Civil Engineering fields covering management, consulting, and technical roles.Now as the City Digital Officer of Ipswich, Matthew leads an ICT Digital City group delivering Smart City, Spatial, Web, Analytics, Internet of Things and Information Management services. In addition, Matthew has also positioned Ipswich City as a Top 7 worldwide Intelligent Community for 2015, 2017 and 2018. Passionate about transforming our Cities and Communities, Helen has been an active member of the IoT Alliance Australia where she has been promoting collaboration, open standards and innovation. With 20+ years of Australian & International experience, today Helen is a Sales Director at Reekoh - an award winning Australian company focusing on simplifying integration. Combining business and technology backgrounds, Helen helps create a vision and a strategy to get there. Brook is Managing Director of Delos Delta, driving smart city and digital transformation for clients around the world. Experienced in Economic Development, urban regeneration, place making,project management and smart city technology and strategy. Demonstrated history of working across all tiers of government in collaboration with private enterprise. Experienced Board member. Skilled in project / corporate governance and business strategy - self confessed urban development addict - graduated from Curtin University with a Commerce double degree and Australian Institute of Company Directors Directors Course. CDO and Digital Transformation advocate for Ipswich City leading an ICT Digital City group deliveringSmart City, Spatial, Web, Analytics and IoT services. 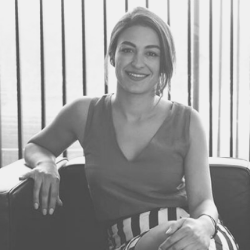 Alexia is a policy advisor, business strategist and built environment enthusiast. 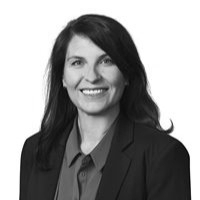 She is Managing Director at Metis Advisory and CPD, the Design Futures Council and an Advisor to the Australian Smart Communities Association. She has represented the built environment to State and Federal Government on issues and assisted industry with topics such as procurement, contractual terms, infrastructure financing, diversity, community and stakeholder engagement. 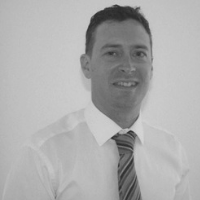 Peter is an experienced professional with broad experience across a range of technical and business disciplines. Specialties include: business development, software development, product and solution development, technology commercialisation, patents, IP portfolio development, market analysis and strategy, channel development, M&A, assembling and managing teams including virtual teams, project management, IT services, general management. Experienced Lead with a demonstrated history of working in the government administration industry.Strong professional skilled in Negotiation, Business Planning, Training Delivery, Management, and Community Engagement. 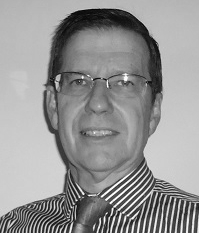 Peter is Chief Information Officer of the City of Adelaide. He is passionate about meaningful Digital Transformation and Government “getting out of the way” and letting people make their own decisions to shape their futures. To achieve this at State and Local Government levels, he had built focused, action oriented teams united by a vision of enabling economic growth and creating smarter, more connected communities through technology. Glenn is the Coordinator, Innovation and Transformation of the City of Bendigo. He is pursuing innovative and transformational projects that build jobs and support managing growth for Bendigo. 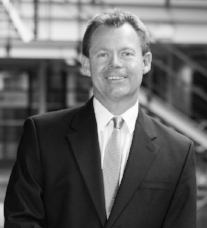 Robert’s specialties are: executive leadership, strategic planning, commercialisation, marketing, customer service, renewable energy, energy policy, change management, capital raising, project management, sales and business development, market research, branding strategy and staff motivation. Additional expertise in energy technologies, innovation management and academic research.